Two DP70 (1425+1429) from the American Theatre (Bruxelles 1958). Sold 26.04.1994 to the current owners in Delft, The Netherlands at the auction of the Rex cinemas. One DP70 (1710) installed in 1973 in. Last 70mm shown was "Gandhi" in 1983, cinema closed on 15/05/2000, DP70 sold to Serge Bosschaerts 21/06/2000. One DP70 (2033) on exhibition at the entrance to Decatron. Two DP70 (2034 r & 2036 l) Re-opened 21.12.1961 with 3-strip films. 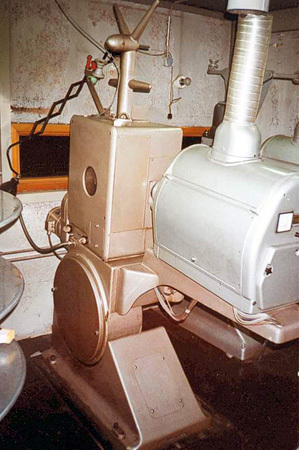 The DP70 projectors where installed for the Cinerama single lens in 1963. 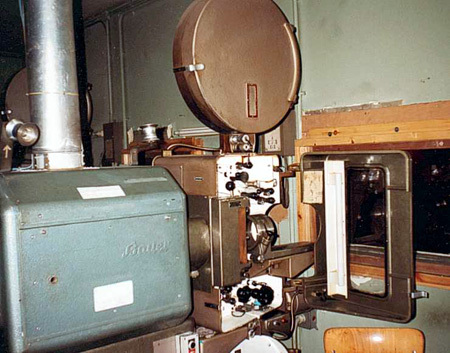 The Bauer U2 70mm installed in this theatre before Cinerama where remove to the upstaire both for the projection of the Cinerama prologue and later for the separate subtitle for some 70mm films!. Second SpacioVision cinema (see Broadway in Paris) with 320 sqm screen made of 1420 stripes (like Cinerama), 1000 seats and Ampex amps. Throw: 30 m. Closed in March or April 1982 and is now a government building. Last 70mm shown was "Quest for Fire". - One DP70 (2036) to private collector in Dour. - One DP70 (2034) to private Jean-Pierre Verscheure in Mons for spare parts. One DP70 (2504) SR only (never installed in Digital or DTS !). Sold to Jean-Pierre Verscheure (Mons) in 2004. Two DP70 (1425+1429). "South Pacific" in Todd-AO opened the theatre 01.05.1958 (European premiere). 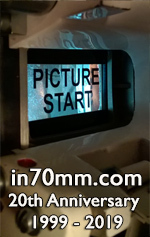 After one month both DP70 were removed and replaced by two Philips FP7 and a 16mm projector. 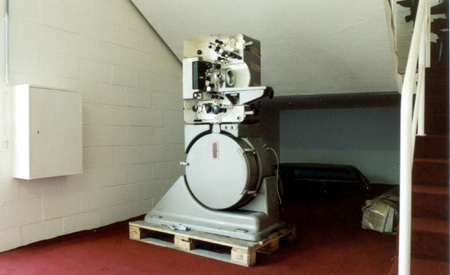 After the machines where removed from the American Theatre, Quellin in Antwerp bought them both second hand for installing in their 2th 70mm theatre in Antwerp. (First was the Rubens with two Cinemechanica V10's for 70mm). One DP70 (2036) from Theatre des Varietes, Bruxelles (Brussels) via Le Stockel. Not in use. Two DP70 (2034+2504) 2034 EL 4001 from Theatre des Varietes Brussels via Le Stockel for spare parts. 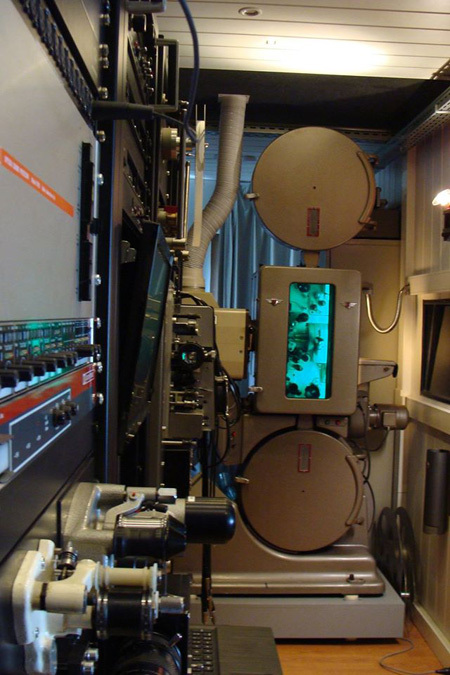 One DP70 2504 EL4001 from UGC de Brouckere installed in private projection room in 2004. (Wood boxes n° 2334 & 1754). Two DP70 (1434+1710). 1710 from Calypso in Antwerp, Belgium. Bought 21. June 2000. 1434 bought from from a bankrupt cinema installer in Holland 05.05.2007.